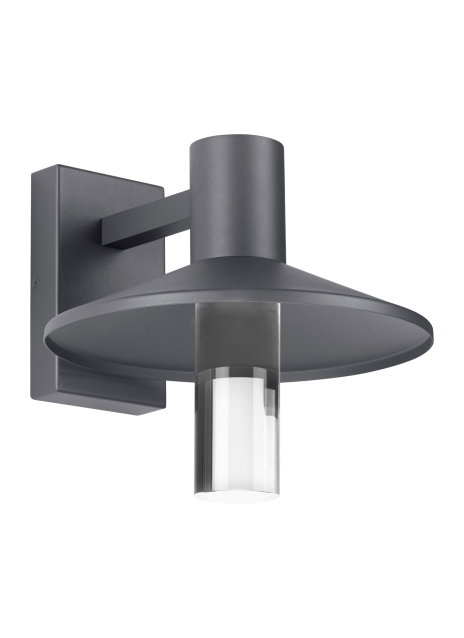 The Ash outdoor wall piece by Tech Lighting is a modern take on the classic industrial-style light fixture. The Ash features a sleek metal shade and clear diffuser that’s ideal for creating a streamline column of light from under the shade. For added convenience in light output, the diffuser is removable to limit uplight for Dark Sky compliance. The Ash is available in two on-trend finishes, Bronze, and Charcoal. Integrated energy efficient lamping makes for a long-lasting trusted source of light. Available high or low output with a choice of 2700K or 3000K color temperatures.